SURREY’S own You Me At Six are to play a special one-off show at Guildford’s Boileroom as part of Independent Venue Week. The band, who formed in Weybridge in 2004, have an arena tour (including London O2) lined upfor March this year but will play the tiny club on Friday, January 30. After a hugely successful year touring in 2014 after the release of their latest album Cavalier Youth, the band decided to pay homage to the small indie venues that helped to support them in their journey to stadium success. Drummer Dan Flint says: “We’ll do anything we can do to help out the local venues, as without them we wouldn’t be a band today. Now in its second year, Independent Venue Week is a nationwide event that brings together and champions the UK’s independent venue circuit. More than 80 venues across the UK will be playing host to special one-off shows next week. 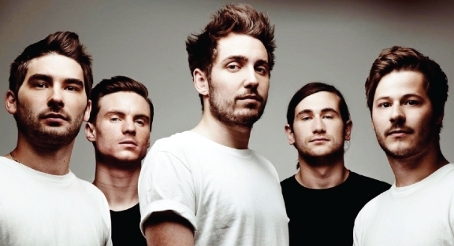 Tickets for You Me At Six went on sale last Wednesday. OTHER Independent Venue Week events at the Boileroom include a music meditation workshop on Monday (January 26) and a local label showcase on Tuesday (January 27) featuring Almeida, Throatpunch City, Atiptoe and Parachute for Gordo. On Wednesday (January 28) Frankie & the Heartstrings will be joined by The Sheratones, Future Talks and Wiker, while the headliners on Thursday (January 29), These Ghosts, will be supported by Little Grim, Macrothyst and Char Goodfellow.